﻿This worksheet currently contains links to over 150 DYNAMIC and ENGAGING resources pertaining to FUNCTIONS. Each worksheet is mapped to 1 (or more) of the standards listed in the CCSS High School: Functions﻿ section of the Common Core State Standards Initiative for Mathematics. LINKS: CCSS High School: Functions (Interpreting Functions)﻿ CCSS High School: Functions (Building Functions) CCSS High School: Functions (Linear, Quadratic, & Exponential Models) CCSS High School: Functions (Trigonometric Functions) Teachers can use these resources as a powerful means to naturally 1) Foster Discovery Learning 2) Provide Meaningful Remediation 3) Differentiate Instruction, & 4) Assess students' understanding. Since any curriculum is always a fluid document, these books, too, will continue to remain works in progress. More items will continue to be added to these volumes. 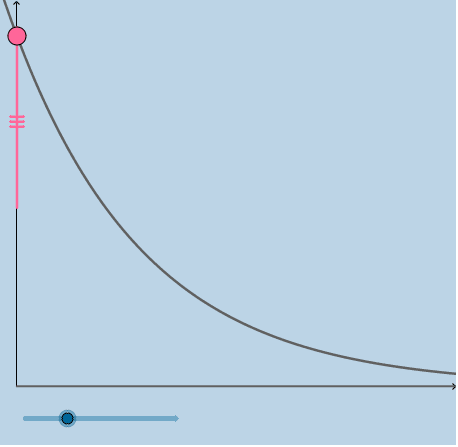 Sample 1 - HALF LIFE FUNCTION: Feel free to move the pink point & slider. 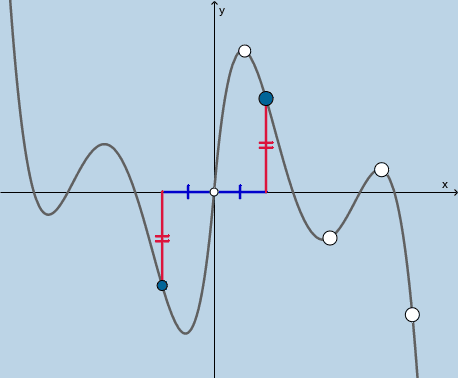 Sample 2 - ODD FUNCTION ILLUSTRATOR: Feel free to move any of the BIG points wherever you'd like.